The Fleur de Lys is often considered to be in the form of an Iris flower. 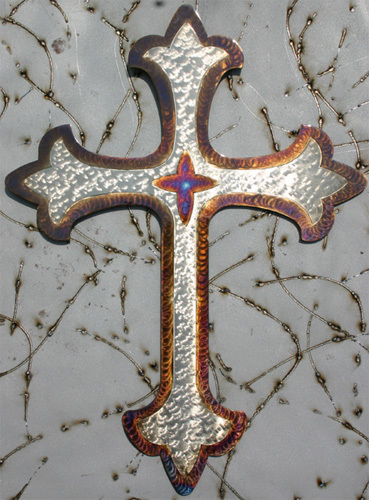 Many in our faith, however, view it as a symbol of the Holy Trinity. 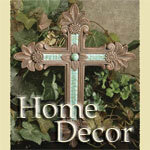 This lovely cross is available in 2 sizes: 5" and 12". This is the 12" Cross. David says, "...The cross is not only a symbol of death, but even more, one of life and hope because of the role it played in the life, death and resurrection of Jesus Christ. For this reason, I choose to make them."